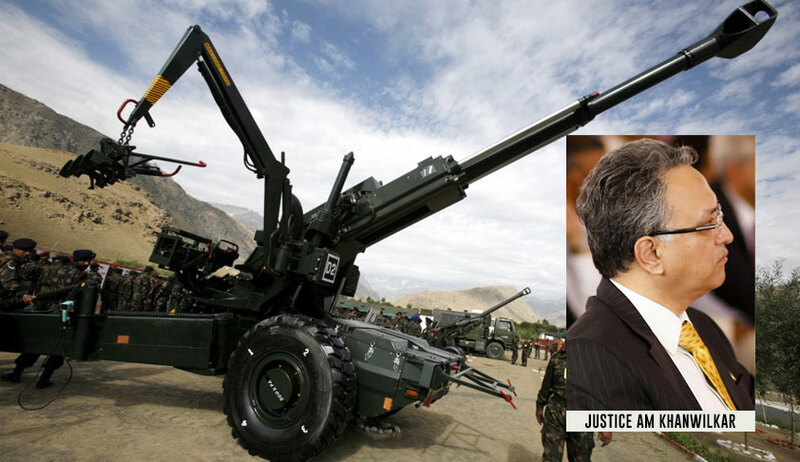 The petition filed by BJP leader Ajay Agrawal and the CBI's appeal in the Supreme Court against discharged all accused including Europe-based industrialists Hinduja brothers in the Rs 64 crore Bofors pay-off case will be heard by a new bench after Justice A M Khanwilkar who is sitting with Chief Justice Dipak Misra recused from the matter. Chief Justice Misra said the matter will be listed before a new bench on March 28. Justice Khanwilkar did not specify reason for the recusal. Mewnwhile the CBI informed the court that it has also filed an appeal against the high court order on February 2. The bench was to hear the petition of Agrawal on his locus of filing the appeal as a third party in the matter. Agrawal, who had contested the 2014 Lok Sabha election from Rae Bareli against then Congress president Sonia Gandhi has been pursuing the case for over a decade in the apex court. In its appeal, the CBI cited a new evidence and referred to the October 2017 interview of private detective Michael Hershman, who alleged that the then Rajiv Gandhi-led Congress government had sabotaged his investigation. “While the petitioner-CBI was of the view that the impugned order is legally unsustainable and should be challenged before this Hon’ble Court, ultimately a decision was taken not to challenge the impugned order on the basis of the views expressed by the Government of India and the law officers who dealt with the matter at that stage, as the Government denied permission to the CBI to approach this Hon’ble Court. The matter has been reexamined now, in view of a most significant development in the form of an interview given by one Mr. Michael Hershman to an Indian TV channel on 17.10.2017. In the said interview, Mr. Hershman has stated, inter alia, that he is in possession of material which would show the payment of bribes in the Bofors deal, and that the involvement of powerful persons may be the reason for the checkered history of this case”, it said. Further in the petition, the agency said that the high court erred in quashing the case by ignoring the evidence it collected through Letters rogatory from foreign country which was to be dealt by the trial court. He passed away on July 13, 2013. The other accused persons who died are Bhatnagar, Chadda and Ardbo.